I have found a great new product that I want to tell you guys about. 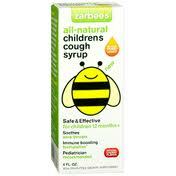 It is Zarbees, the first ever all natural cough syrup for kids. Zarbees is the brainchild of Dr. Zak Zarbock, who came across a very interesting clinical trial comparing buckwheat honey to traditional over-the-counter children's cough syrup. The results indicated that buckwheat honey was actually more effective than the traditional cough syrups. 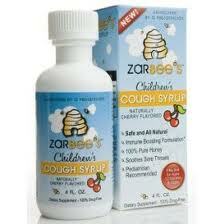 That is where Dr. Zarbock got the idea for a natural honey cough syrup. Zarbees is different from other cough syrups because instead of trying to suppress coughs, it just naturally soothes them, and without the use of drugs. I really like the idea behind this cough sryup, you guys know I am always open to trying products that are made to be safer and better for my babies. We thankfully haven't needed to try our Zarbees yet, but I know I am definitely going to be putting it to good use! Ever since Tater started school, sickness is never far behind! Thanks Zarbees for introducing us to a great product! 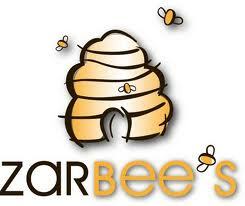 To find out more about Zarbees, or to purchase yours today, click here! (In the Central Kentucky area, Zarbees is available at Meijer, Whole Foods, and Walgreens. To see where it is sold in your area, visit this page. Disclosure: I was provided with a sample product in order to conduct this review. Although i received a product, no monetary compensation was given, and all opinions are my own.